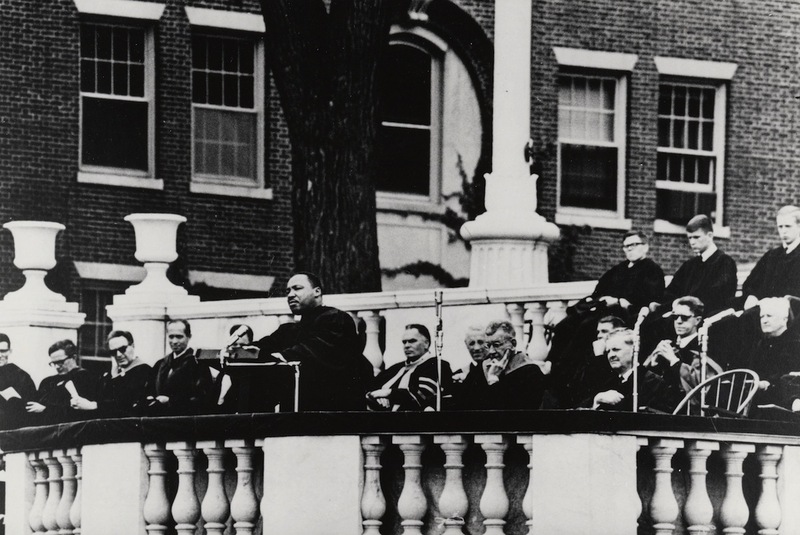 Dr. Martin Luther King, Jr., delivered the baccalaureate address at Wesleyan 50 years ago. Fifty years after Rev. Dr. Martin Luther King, Jr., gave the baccalaureate address at Wesleyan, the university will welcome Ted Shaw ’76, one of the nation’s leading proponents for civil rights, as its 2014 Commencement speaker. Shaw has been named the Julius L. Chambers Distinguished Professor of Law, and the Director of the University of North Carolina Center for Civil Rights after having served as professor of professional practice at Columbia University School of Law. He served for 23 years with the NAACP Legal Defense Fund, concluding as director-counsel and president. He received his law degree from Columbia and started his career as a trial attorney for the Justice Department. Commencement will follow a powerhouse Reunion schedule featuring Wes Seminars and talks by influential alumni, including Vermont Gov. Peter Shumlin ’79, who will address the Assembly and Annual Meeting, and Colorado Gov. John Hickenlooper ’74, MA ’80 HON ’10, who is giving a WESeminar titled “An Inside Look at the Legalization of Marijuana” on Saturday morning. 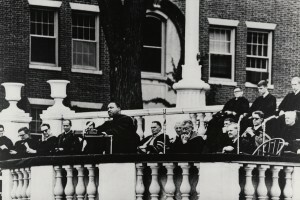 MLK’s baccalaureate address in 1964 was just one of several visits he made to Wesleyan between 1962 and 1966. For more information on Shaw and other honorary degree recipients, read this Wesleyan Connection article.